The Workflow functionality maps out the lifespan of an item by establishing transition rules for changes in the item's status. There are two types of workflows: Organization and Review Center. 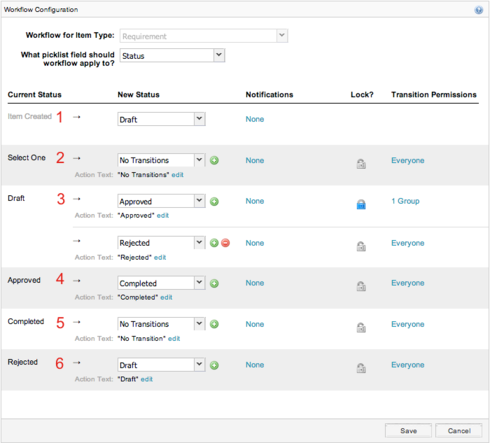 Organization Workflows can be modified and customized on a Project by Project basis. These two workflow functionalities are not compatible. If you have enabled Organization Workflow, Review Center Workflow Batch Transitions are recommended instead of Review Status Workflow. To set up Organization Workflow, go to Admin > Workflow. Any workflow created at the Organization level will be available to every project within that Organization. If the Allow Project Managers to override workflows on a project box is checked, users with Manage Project permissions will be able to edit Workflows at the Project level to better suit their needs. To access workflow from a project level, click on the gear icon next to the project name in the top left, and select Configure Project. This will open a pop-up window. 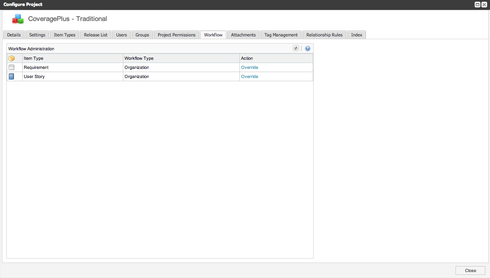 Select the Workflow tab to see a menu of active workflows similar to the one located in the Admin Section. By clicking Override, the Project Manager can make changes to but not delete the workflow. Creating a new Workflow can only be done under the Admin tab. Start by clicking Add/Edit, and select an Item Type you would like to create a Workflow for. Items can include any that have been enabled for your project that have a pick list configured, as well as custom items created under Item Types. Please note: only items that have a pick list configured, such as Status or Priority, will be eligible for Workflow. These statuses are standard in Jama but can be edited to suit your company's business process if need be. When a Requirement is created, it is mapped to the status will immediately be set as "Draft." If you were to create a new Requirement with this Workflow active, you would notice that the option to change the status is not available. If the item was approved, a pop-up box will open giving users the option to leave a note about this transition. 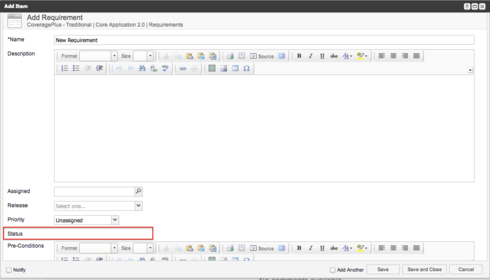 As it is set up in the example workflow, Completed Requirements have no further transitions available in the workflow. If a Draft Requirement is "Rejected," the only transition it can make it back to a "Draft" state. This can be changed to best fit your business process if need be. 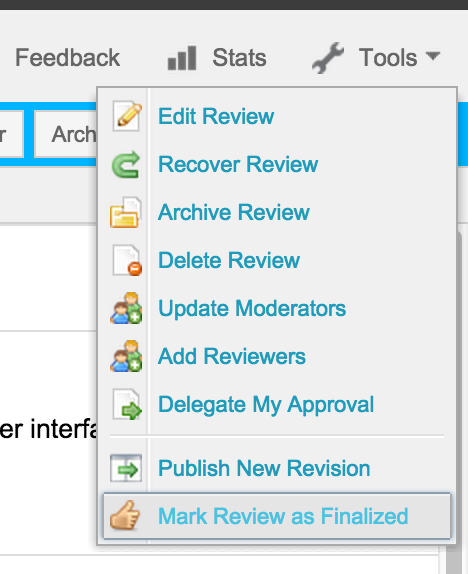 A Workflow can be created for Review Center items that are participating in a review. It should be noted that like the Organization Workflow, this can only be set up by a Jama Admin, and not a Review Center Admin. This workflow is based on the status of the review and will change the workflow field once the review has been finalized. The Review Status Workflow is separate from the Organization Workflow; an Organization Workflow will override a Review Center workflow if both are set up for the same item type and picklist field. To set up the Review Center Workflow, navigate to Admin > Review Center Settings. At the bottom of the page will be the option to set up a Review Status Workflow. These are simpler than Project Workflows to set up, as they can only have one transition. The example below shows a workflow for Use Case Status to be changed to Approved once a review containing Use Cases has been finalized. 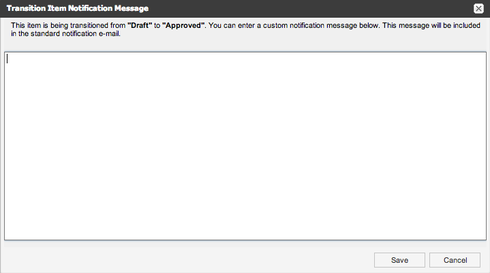 Next, we'll send a use case for review that has a status of "Draft." After finalizing the review, the status of the Use Case has been changed to "Approved." If the Review Status Workflow is set to update the item once the review is set to Not Finalized, you must first Finalize it. Once Finalized, you will see the option under Tools to mark as Not Finalized. A pop-up box will notify you of the changes that will be made to items belonging to this workflow. It looks like this problem still hasn't been solved (what Ian reported)... any updates for me regarding this? We don't publish articles describing bugs, so what you're more likely to find is a comment describing a behavior and one of us saying "that behavior is bug x." In this case, 467 is described elsewhere in this thread as "Review Center Workflow and Item Type Workflow do not work together; User Guide states wrong information." The User Guide states "Item Type Workflow will not work for item types utilizing Review Status Workflow," however, in practice, it is the opposite. What this means to you is that you can have just one type of workflow enabled, Review Center OR Item Type; they cannot be used concurrently. In the replies, a bug key "SOS-BUG-467" is mentioned. But, I was not able to find the article/description to this bug key. Seth, you are correct. A reviewer only has access to reviews and since they have no edit permissions to projects, they can't update using item type workflow within the review center. Only moderators of the review can use that trigger within the review center, and collaborators cannot moderate reviews. i haven't played with this enough, but what are the implications in terms of license types? 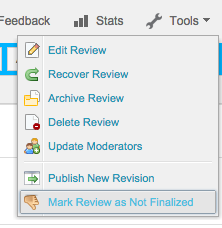 are reviewers only allowed into the Review center and using the review center "finalized" setting? I'd imagine then you would have to be a collaborator to be involved with the item type workflow. is this accurate? Anna, sorry we missed your question. It is not fixed in Jama 8.x. The severity is rated low on the bug because the workflows were not designed with compatibility in mind. is the bug which is preventing organizational workflow and review workflow to work together fixed or scheduled for the Jama-8 release in the near future? Yes, thanks Kristina - I'd looked at the batch transition functionality and figured that it would be my best bet. Looking forward to integration of Organization and Review workflows at some point in the future!?! You're correct on the latter–the Review Center Workflow is intended only to allow for status transitions when a review is finalized. Unfortunately the Item Type workflow is capable of more. But something to consider in this case is using just Item Type Workflow, but then using batch transition workflow from the Stats page of the review center to update statuses/lock items. Thanks for the info. A supplementary question: Configuring Organizational Workflow allows me to automatically lock an item when it transitions from Draft to approved status. I don't see a way to make this happen via a Review Workflow. Is there a way to configure this or is that just not a feature of Review Workflows? Yeah, Ian, my response wasn't entirely clear either. It is a bug in the documentation. The two workflows were not designed to work together. As to your disappointment, others have run into this and felt it too. We are tracking the issue internally. I know I'd like to see the two become compatible! I'm interested to know: is this considered to be a bug in the software or in the documentation? the comment "User Guide states wrong information" makes me think that it's the latter. If so, that's a bit disappointing as I would have thought that it should be possible to have both Organization and Review workflows configured for the same item types / picklist field combinations. Ian, no, you are not the problem! SOS-BUG-467 = "Review Center Workflow and Item Type Workflow do not work together; User Guide states wrong information." The User Guide states "Item Type Workflow will not work for item types utilizing Review Status Workflow," however, in practice, it is the opposite. Unfortunately you can have just one type of workflow enabled, Review Center OR Item Type. I'm sorry the article led you astray. I will ask Janessa to update it so that it is 100% clear that they cannot be used concurrently. Ahhhhhh, I've just taken a closer look at the thread that Diane kicked off 7 months ago and it appears that the behaviour I'm seeing is due to a known bug (SOS-BUG-467). I've had some difficulty with workflow and would appreciate some help. I had configured "Organisation Workflows" for a number of item types. I tested these and they worked as expected. So far so good. I configured a "Review Workflow" to automatically change the Status of items on Finalizing a review. I tried deleting the Organisation Workflows for the Item types involved in my Review Workflow. Now, when I Finalize my Review the Items' Status IS updated as per the Review Workflow settings. I suspect that I'm doing something wrongly - maybe missing a setting somewhere?? Do you have any suggestions for me? I apologize for missing this! To address your first question, if you are using the same pick list for the Organizational Workflow, the workflows will not be able to work together. If you are using a different pick list for the Review Center Workflow than you are for the Organizational Workflow, then it should work just fine! Regarding the bug, I do not have information at this time about whether or not it will be fixed in the next release. Please let me know if you have any other questions. If we don't define a transition from eg. Draft -> Approved in Organizational workflow, but define this transition in the Review Workflow: Will that work? As 2015.2 is about to be released - can you already tell if the bug will be fixed in that release? Excellent, thanks. It will be great to be notified of any updates. Hi Diane! Yes, at the moment it is one or the other. This behavior is actually a bug, titled SOS-BUG-467. The good news is, it is currently scheduled to be fixed in a future release of Jama. 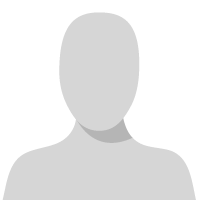 I've added you to the bug's profile in our system, and we will notify you once the bug has been updated. If you have any questions about our bug fixing process, I recommend first reading this article. Should you have any other questions after reading that article, feel free to reply to this ticket so I can address those for you. Yes, we do. So, it's one or the other? What a shame. Hi Diane! Do you know if you have Organization Workflows set up for the User Stories item type? If you do, the Organization Workflow will override the Review Center workflow and the status will not change after finalizing. Felix, you remember correctly. In the archive exists "Workflow integration with Review Center," and it had 18 Likes and many comments. We don't have anything on the immediate roadmap that addresses this particular behavior, however, we're working on prioritizing some user paths that might enable these to work together. I think this idea has a lot of value, because you're right, the function Cooper shared is a bit hidden from the average user! is an integration of the Review Center Workflow in the Organization Workflow planned? I thought, there was a Feature Request with many Likes in the "old" Jama Support Center ?! ?